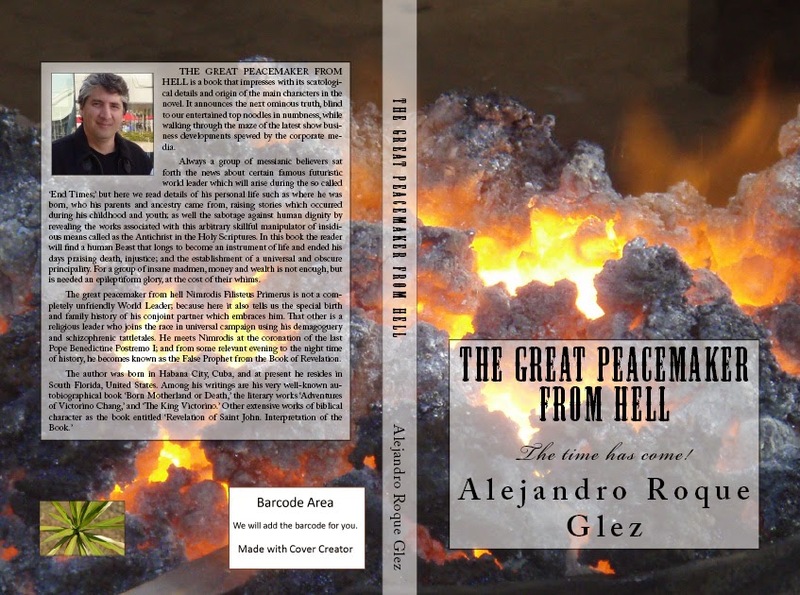 Alejandro's Libros: The Great Peacemaker from Hell. 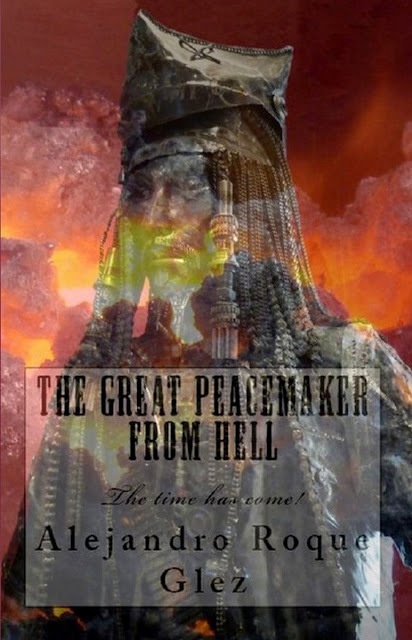 The Great Peacemaker from Hell. 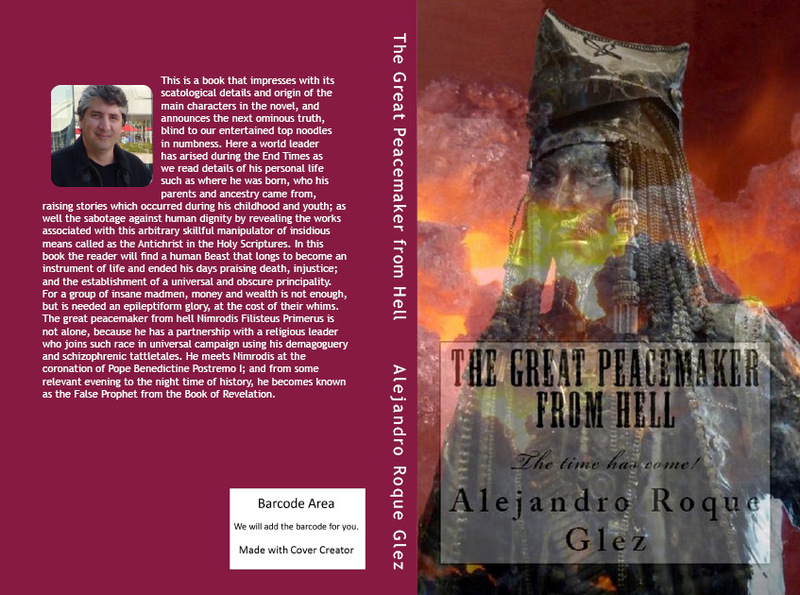 THE GREAT PEACEMAKER FROM HELL is a book that impresses with its scatological details and origin of the main characters in the novel. It announces the next ominous truth, blind to our entertained top noodles in numbness, while walking through the maze of the latest show business developments spewed by the corporate media. Always a group of messianic believers sat forth the news about certain famous futuristic world leader which will arise in the context they call as the 'End Times', but we never knew that someone was able to announce details of his personal life such as where he was born, who his parents and ancestry came from, raising stories which occurred during his childhood and youth; as well the sabotage against human dignity revealing the works associated with this arbitrary skillful manipulator of insidious means called as the Antichrist in the Holy Scriptures. In this book the reader will find a human Beast that longs to become an instrument of life and ended his days praising death, injustice; and the establishment of a universal and obscure principality, as bad or worse than the Middle Ages which he contested and detested with all his strength and energy, devoting immaterial impudent assumptions. For a group of insane madmen, money and wealth is not enough, but is needed an epileptiform glory, at the cost of their whims. The great peacemaker from hell Nimrodis Filisteus Primerus is not a completely unfriendly World Leader; because here it also tells us the special birth and family history of his conjoint partner which embraces him. That other is a religious leader who joins the race in universal campaign using his demagoguery and schizophrenic tattletales. We are talking about Toujours Ponctuel, a child growing up in the ranks among the secret army of the Jesuits and directly associated with the Opus Dei. Graduated with fragrant intellectual and scholastic aromas in different institutions like the Pontifical University of St. Thomas in Rome, later became the youngest 'Superior General' within that religious order. He meets Nimrodis at the coronation of the last Pope Benedictine Postremo I; and from some relevant evening to the night time of history, he becomes known as the False Prophet from the Book of Revelation. These two characters full of youth, dreams and desire for absolute power did not realize that the dark and hidden powers of hell control channels, machiavellian structures, and dimensional enmities, that are deaf to the Creator of time. -Chapter I: The Encounter of Flavio and Mariana. -Chapter II: The Holy Child Toujours Ponctuel. -Chapter III: The Birth of Nimrodina. -Chapter IV: The Great World Leader. -Chapter V: I am Nimrodis Filisteus Primerus. -Chapter VI: The Beast and the False Prophet. TAGS: Vatican, New World Order, Antichrist, False Prophet, United Nations, European Union, Mediterranean Union, Apollyon, Jerusalem, Two Witnesses, Temple Mount, New York, CIA, NATO, Petrus Romanus, Rome, Jesuits, The Dry Elm of Nostradamus, Hitler, France, Paris, Romania, Italy, Israel, Spain, Greece, Syria, Apocalypse, Christ, Third World War, The Invasion of Gog and Magog, Russia, Vadim Putinov, China, India, New Roman Empire, Beast, Mark, Plagues, UFOs, History. 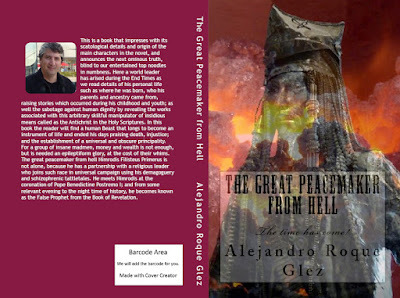 Puede encontrar la versión en español de este libro aquí: "El gran pacificador del Infierno".